The Flowers of War is China's most expensive film ever made, yet in no way does the budget enhance the story. 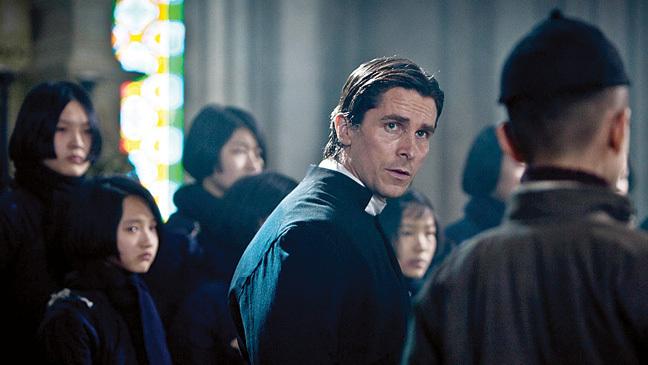 Christian Bale continues his impressive career with another above-average performance, but the bloated running time and the lack of dramatic tension makes the film feel uneven and hard to sit through. Yimou Zhang‘s The Flowers of War is currently the most expensive Chinese film ever made, starring Christian Bale and gathering numerous awards nominations, including a Golden Globe nomination in 2011. You’d think all of this praise and attention would mean that movie is at the very least a dramatic war film with a gripping story and intense performances, right? The Flowers of War is dramatic and does contain one notable performance, but aside from that performance and some expertly shot battle sequences, it’s merely just another lengthy Chinese war epic that could use a trimming in the editing room and a little more flavor in the casting department. It’s 1937 in Nanking and a westerner by the name of John Miller (Christian Bale) is on his way to a church for a brief work, before leaving the war-filled country. He arrives at the church and finds no work and no money to pay him for his journey. What begins as an overnight stay to get some sleep and stock up on boos quickly becomes a human transformation story about a man that rises to the occasion and does good for his fellow man in a desperate time. Yimou Zhang‘s The Flowers of War is a defying example of courage and bravery when faced with dark and hopeless outcomes. It’s based on a true story and knowing that alone makes the film a little better, but that still doesn’t solve the film’s multiple problems. For starters, The Flowers of War clocks in around 146 minutes. It’s another lengthy Chinese epic that splits the violence and war with the dramatic interactions between the film’s countless characters. When the film opens up and takes to the street, things become interesting as Zhang utilizes his hefty budget to film structured war sequences that are unrelenting and bloody, yet impressive to look at from a technical standpoint. The film’s weakness shows when it switches gears and focuses on the dramatic story. It’s not that the story isn’t compelling or tragic enough to be told, it’s just that Zhang tells the story with little characteristics. Christian Bale is the only character that leaves any sort of memorable mark. This isn’t good for the film at all, because this is arguably one of Bale’s weaker performances. He’s much more drawn back than usual for a majority of the film. He lets his character’s true heart come to the surface towards the end of the film, but by the time the story gets to that point most of the tension has worn off or become an afterthought. The Flowers of War is a serviceable war drama that is in need of another edit, which would allow for more focus on the characters. There are several points in the film which become rest stops almost, where characters sit around for minutes on end while the story doesn’t progress, but instead stands still. These points hurt the overall quality of the film and make The Flowers of War nothing more than just another war film that isn’t bad, but isn’t worthy of any critical praise. The 1080p video transfer finds most of its shining beauty among the dark and depressing rubble of the war. This is a very bleak transfer, with lots of muddy textures and colors, yet there’s still an underlying beauty to the image whenever the camera places itself in the church. Detail is strong and there are no real signs of banding or restrained vibrancy. The 7.1 DTS-HD Master Audio track evens out the playing field during the war scenes and still touches up on the gentle dialogue and music cues during the quieter moments. There are a lot of resources in the film that lend to the audio track. War films tend to be the best for surround sound and The Flowers of War is no different than something like Saving Private Ryan. The Flowers of War is a lengthy war drama that could have been told a lot more efficiently if the film was 30 to 40 minutes shorter. The added fat of the film only dampens the impact of the story and results in a mediocre war film that is average at best. 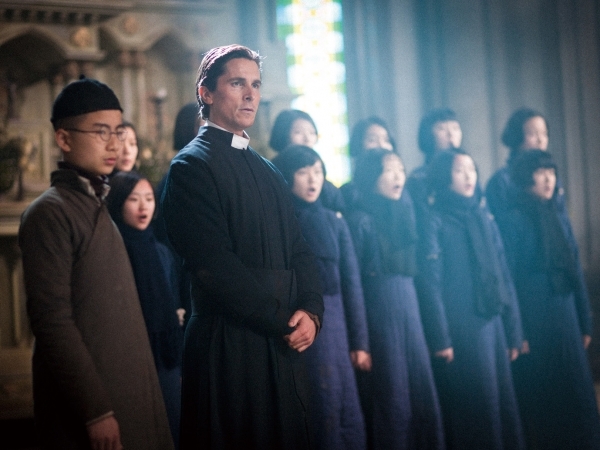 Christian Bale‘s performance doesn’t elevate the film that much higher, but it doesn’t hurt the film either. The five part behind-the-scenes documentary is a worthwhile watch if you find the film fascinating enough to dig deeper into the production. The Blu-Ray presentation is what’s expected from a video and audio standpoint. Those interested in Chinese war epics will want to at least give this one a look, because it’s historically accurate and it does tug on some emotional strings at one point, but the overly long running time really hurts the overall appeal of the film and makes it a lot harder to recommend to a casual filmgoer.